Buying a franchise is a big deal. Heck, being your own boss is a big deal, too. Are you nervous? Are you afraid of losing your money if you buy the wrong franchise? Good! You should be. It doesn’t mean you will lose your money with a franchise, but just knowing it’s possible to fail as the owner of one is worth its weight in gold, because it will help you do things slow and steady. So you can reduce your risk. How does that sound? Fact: Everything you need to know about finding, choosing, researching, and buying a franchise can be found on this website. Everything. I’m a franchise ownership advisor. I educate and advise people on the smart way to choose, research and buy profitable franchises, become the boss, and live their dreams. And I definitely wanted more control in whatever it was I was doing. My last official, “job” was so dysfunctional, it still hurts my brain to even think about what transpired at the automotive franchise I was employed at. 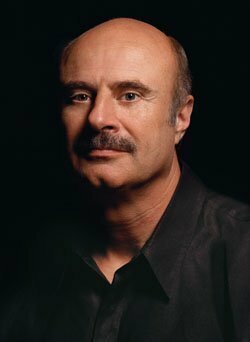 Heck, Dr. Phil could have brought his entire crew in to tape a full week of episodes without even scratching the surface of all the sickness that was taking place at the automotive franchise that I was attempting to manage. It was bad. After I got downsized, (fired) from that job, I set my GPS on “No Idea Where The Hell I’m Going,” and somehow landed in my Dad’s franchise consulting business. Now, I didn’t wake up one morning saying to myself, “I want to work with my Dad and be the part-owner of his franchise business.” But, before I joined him, I did wake up every morning with the thought that things did have to change. I ended up taking over my Dad’s franchise consulting business, and during the next 10 years, I succeeded in helping a lot of people start their own franchise businesses in my role as a franchise consultant*. *A franchise consultant is just a classier name for a franchise broker. It’s someone who gets paid by the franchisor. I learned a lot about franchising. And, I learned a lot about business. If you’d like to hear my story-and get several very useful tips on franchising, I was just interviewed by BusinessTown.com via video.Look! In 2001, I started to get interested in the internet. It was still relatively young, but it was getting harder and harder to ignore. I had just heard about something called, “email,” but I didn’t really know what it was. (My wife had already starting using email by then; but it was only an internal communications tool-she used it at work.) My dad had email installed on his computer in our office, so I started fiddling around with it-and eventually learned how to use it. But, I had to be very patient. That’s because it took 15-20 minutes for my dad’s PC to connect to the internet via a dial-up connection. Anyway, after I mastered email, I started learning about websites and blogs. Especially blogs. Funny thing was nobody was writing about franchising. There weren’t any franchise blogs. I felt that starting a blog that was totally focused on franchising-on franchise ownership, specifically, would be a great thing to do. Plus, I felt that I’d be able to establish myself as a credible person-an expert actually, on franchising. But, was I ready to start writing? George Nemeth was running a successful Cleveland, Ohio blog called Brewed Fresh Daily. His topics ranged from cool new technology to Cleveland politics. George had a lot say and he said it well. I got to know him a bit, and I asked him if we could meet for coffee. During our meeting, I shared my desire to start a blog on franchising with him. He told me how to go about it, and encouraged me to go for it. I did. (Thanks, George!) George ended up becoming one of biggest supporters, and he introduced me to a lot of up and comers in the Cleveland business community. While I was busy learning how to write blog posts—how to write, period, I was getting to be pretty well-known locally. (As The franchise guy) I was getting a ton of referrals, and my local franchise consulting business was doing pretty well. That someone was Tom Sudow, who at the time was the Executive Director of the largest Chamber of Commerce in Ohio-The Beachwood Chamber. Tom knew me, and was starting to refer people that wanted to start businesses in our area to me. (Thanks, Tom.) Well, the name stuck, and Jim Kukral, an internet marketing guru in my neighborhood who I had befriended (Thank you again, George), told me in no uncertain terms that “The Franchise King” was a great name, and that I needed to get it registered at the US Patent Office immediately. So, I did. (Thanks, Jim.) That’s how I got to be called The Franchise King®. Exciting, huh? Hey…I do own 3 different crowns now. Royal Red is the color I use for branding purposes. You’ll see it a lot. Including on my social media stream. On Twitter, I’m @FranchiseKing. There’s The Franchise King Facebook Page. And of course you’re on my main website-The Franchise King.com – right now. I’m most proud of The Franchise King Blog, though. It’s been a serious door-opener for me. And, it’s won some cool awards. And, it’s probably how Anita Campbell, a renowned small business expert, found me. 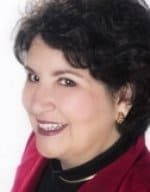 She put out a call for small business experts who could write-for her growing website, Small Business Trends. I read what she wrote, and immediately proceeded to talk myself out of contacting her to write about franchising. I didn’t feel that I was good enough yet. Turns out that it didn’t matter how I felt about my abilities, because Anita sought me out. I ended up contributing regularly for a few years. Writing for Small Business Trends brought me some much-needed exposure, and soon I was getting approached by other web publishers who wanted me to write about franchising for them, too. One of them turned out to be a website owned and operated by the United States Government. I’ve been writing a monthly article on franchising for them-The U.S. Small Business Administration, for almost 6 years now. And, many, many others. See for yourself. So, now you know more about me. What do you think? Do I seem like the kind of guy who may be able to help you become your own boss through franchise ownership? Would you like to know how I can help you, specifically? 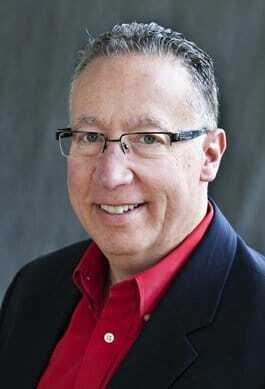 I offer Private Franchise Consultations. Learn more about them here. You already know about my hardcover book. My other franchise ownership products are featured here. 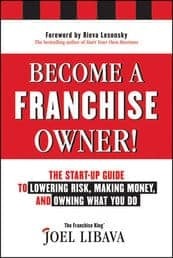 The Franchise King Blog features 1500+ articles on how to own a franchise. You should read a few of them. My Free VIP Franchise Newsletter arrives in over 5,000 email inboxes just about every week. Subscribe Now!